The Adult Program is a twice a week 60-minute program. 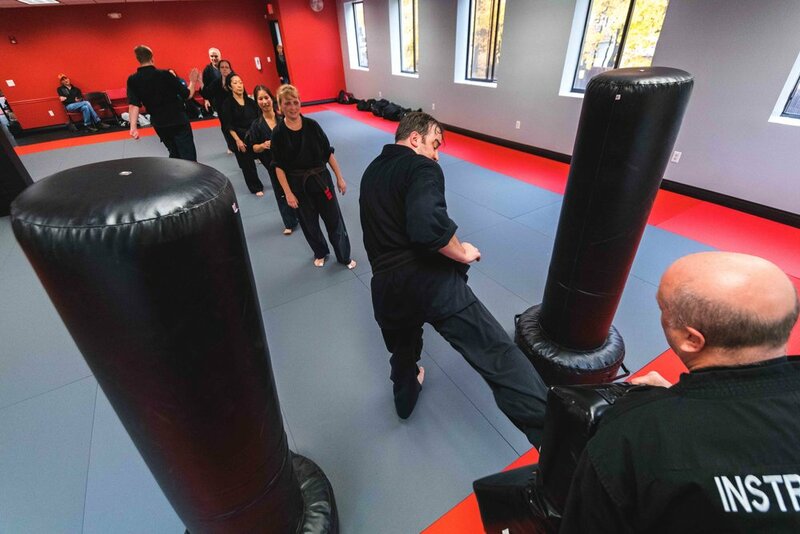 For students age 18 and older, our Adult Program features a comprehensive curriculum that includes traditional martial arts and self-defense with a strong emphasis on personal fitness and physical empowerment. We provide a positive, supportive, team-oriented environment and work to further develop focus on important life attributes such as goal-setting, perseverance, positivity and self-confidence. 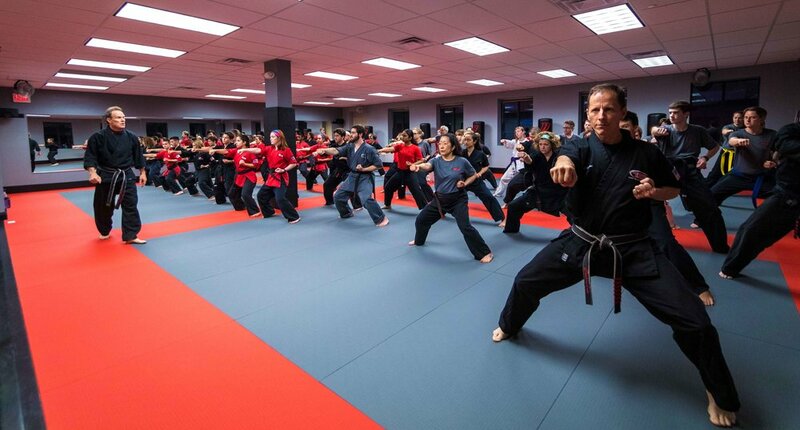 An impressive 90% of our Adult Program consists of parents of our younger students. 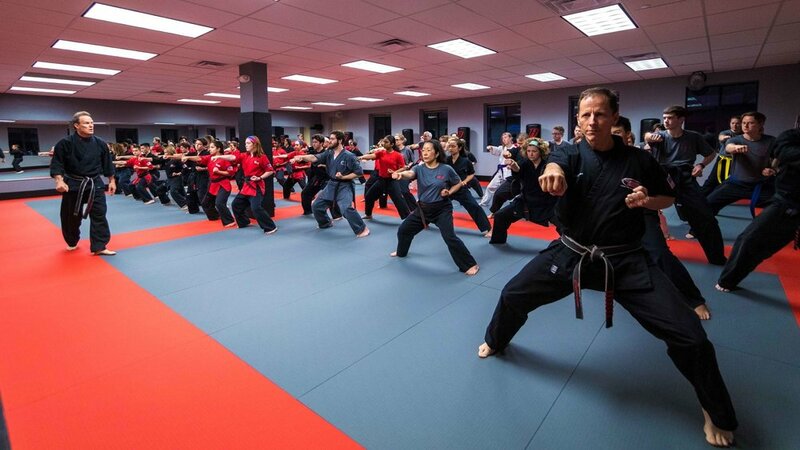 This is a great testament to Callahan’s commitment to providing a true family martial arts center. Many parents join after seeing the positive influence the program has had on their children’s lives. 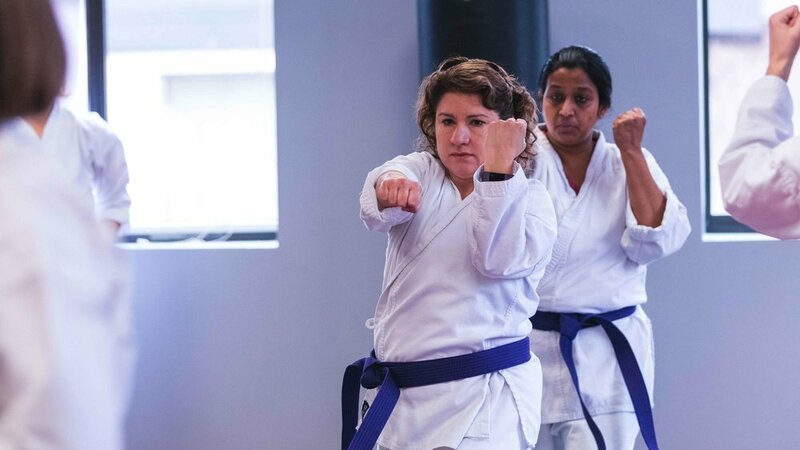 Parents enjoy the mental and physical aspects of training but also the opportunity to be role models for their children by being active in the program.